New homes these days are significantly more efficient than older properties thanks to changes in building codes and consumer demand for environmentally friendly houses. 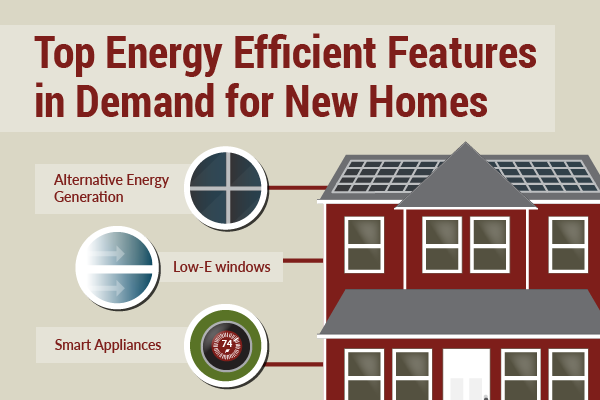 Home buyers and builders are increasingly focusing on energy-efficient features for new homes this year to save money and conserve the environment, according to the National Association of Home Builders. The NAHB noted builders are more likely to follow green building standards to help give consumers the energy-saving components and technologies they want in a sustainable home. "Our builder members are telling us that more and more buyers are looking at new homes for their efficiency in design and functionality," Tom Woods, chairman for NAHB, said in a statement. "Whether it's improved insulation or sustainable building materials, today's new homes can reach higher energy performance and greater durability than was possible even 20 years ago."